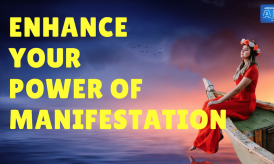 Unblock Your Law of Attraction Manifestation! 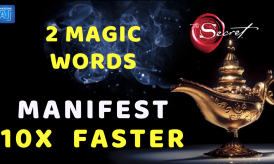 Stop Using These 3 Words And See The Magic of Law of Attraction! 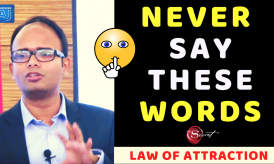 Ever wondered why the Law of Attraction is not working for you? Why is that after setting up your intentions and visualization things are not turning your way? Well, the reason could be as small as these three words.. Confusing? 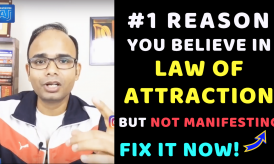 Let’s try to understand how these can be obstacles in you Law of Attraction Manifestation Process. As we all know like attracts like, and the Universe delivers things what we think of the most. So our thought pattern is what decides our manifestation process. If you think positive you will attract positive things in life and vice versa. If you keep doubting things your manifestations will go in other directions. It all depends on what you think and what you talk. There is a great chance that you keep a positive attitude and talk positively about your goals and dreams, and still not getting results. This happens because of negative self-talk. Your words are not aligned with what you are thinking inside your mind. These words I can’t, I hope, I want are all low-frequency words. They show uncertainty, lack of trust, desperation and push the manifestations and desires away. 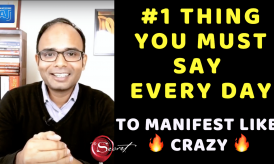 How Is Self Talk Affecting Your Manifestation? Be mindful of your self-talk as they are the conversation with the universe. If you keep doubting self, you are doubting the Universe and hence there is a resistance created between us and our desires. Remember you are the most influential person you are talking to all day. Your Self-Talk defines your success. Get over your negative thoughts and you will start manifesting rapidly in life. Let us see how can you break this thought pattern and change your negative thoughts into positive ones. 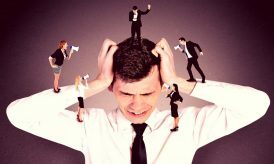 Most of you have been programmed to believe that you don’t have any control over your thoughts. And whatever thoughts and feelings are coming to you, you have to go with it. While doing so you forget that you are a Human and not a robot or a machine that is feed with a program that you have to play all the time. Being a human, we have the control over changing the way, we think, feel and act. And that control is always with you. Sometimes changing your negative thoughts into positive is easy and sometimes it becomes difficult but it’s not impossible. When you decide that you are going to replace every negative thought with at least THREE POSITIVE THOUGHTS then you will see a massive shift happening inside of you. You break the flow of that negative energy and Law of Attraction will start bringing only positive manifestations into your life. This technique works wonderfully in changing the thoughts or shifting your focus to positive thoughts from negative ones. Start counting numbers in reverse order from 5, 4, 3, 2, 1. You will immediately forget negative thought and your mind will be calm. Then you can replace previous negative thoughts by deliberately thinking positive ones. How it works is your mind cannot think anything else when you give it something new to work on, it goes blank and your focus shifts. Remember you should learn how to control your mind, not your mind should control you. 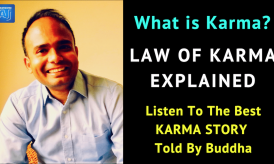 Watch this video to understand this technique clearly. Try wearing some band in your hand. Whenever you feel negative, low, unhappy, anxious etc., pull this band in your hand to remind yourself of the thoughts that are going in your head. Now you can shift your focus to positive thoughts deliberately. This requires some practice, eventually, you will get a hold of it and the process becomes easier. You will eventually start being more positive whole day and thus attract happiness and start manifesting beautiful things in life. With the positive self-talk and optimistic approach, you can manifest all your desires. Yes, it is also important to say NO and I CANT to people and situations which are negative and harmful for self and against our mental or physical well being. Surround yourself with positive people including you, and positive surroundings and watch the miracles happening. Spread love and positive vibrations and the Universe shall shower the same on you! You are the reflection of the Universe, raise your energy, positive vibrations & frequency and the Universe shall deliver the same!